When they are playing outdoors in the wintertime, kids need a cuddly scarf to keep their neck nice and warm. 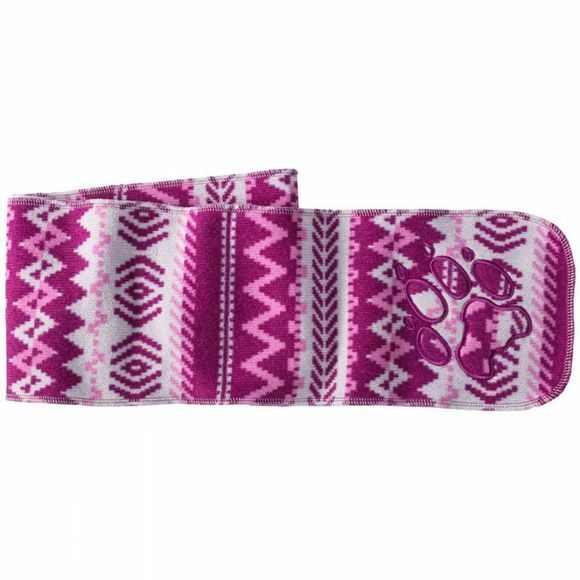 The Kids Scandic Scarf from Jack Wolfskin is made of an extra warm fleece and is very kind to the skin. With its trendy Norwegian pattern, this scarf is a real eye-catcher.